The Oregon Office of Economic Analysis released the latest quarterly economic and revenue forecast. 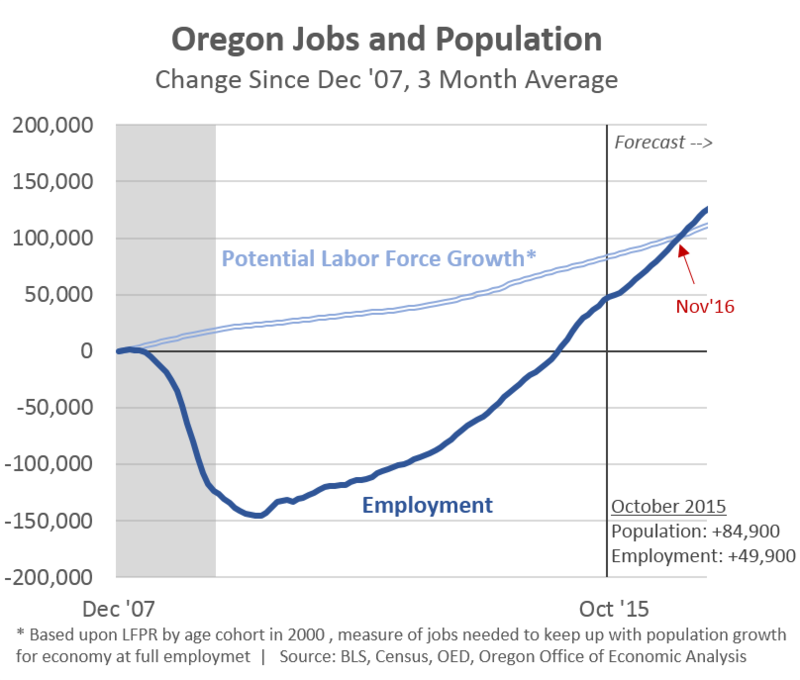 Oregon’s economy continues to make significant gains. Job growth has slowed just a bit from early 2015 rates, yet remains more than strong enough to bring the unemployment rate down and account for the influx of new workers as population growth picks up. More importantly, Oregon’s stronger-than-the-nation’s wage gains have continued through the fall. Overall, the state has regained and retained its traditional economic advantage in expansion relative to the nation. Job growth over the past year in Oregon is more than one percentage point faster than in the typical state. This advantage is primarily due to the state’s industrial structure and migration trends, both of which remain strong today. View the full document on the OOEA website.